ConnectCode Barcode Fonts is a professional True Type (TTF) and Open Type (OTF) Barcode Fonts package that is designed for use in modern operating systems. It allows you to create different types of barcodes by selecting a font in your favourite text editor. If you are a user of a previous version of ConnectCode (v11.x), please contact us for your free upgrade (v11.3). ConnectCode Barcode Fonts can be used in all the following scenarios for creating barcodes that adhere to industry specifications. How to use Connectcode Barcode Fonts in Barcode & Label? Create labels with data from a CSV (comma-separated values) file? - new! Create labels with variable data entered at print time? - new! Create Barcodes in Angular - new! Create Barcodes in React (reactjs) - new! Create Barcodes using WebAssembly - new! Create Barcodes in Blazor - experimental! Web Open Font Format 2 (WOFF2) Barcode Fonts - new! Create Barcodes in SQL Server Reporting Services (SQL Server 2016-2017) - new! Using the .Net Standard 2.0 compliant Barcode DLL - new! I need a barcode but I do not know which one to use. Please help me decide. I don't have much time. Why do I see text characters instead of barcode after creating the barcode in ConnectCode Font Encoder? 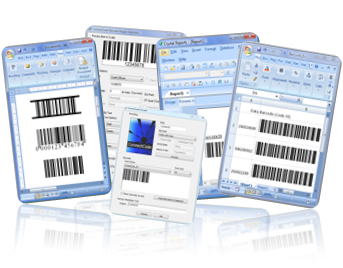 Can the trial version of the barcode software generate barcodes that can be scanned? I am unable to scan the barcode I created. What can I do besides contacting you? I am getting a "#NAME?" in my excel spreadsheet when using the barcode formulas. What is a Barcode/Barcode Font? A barcode is a series of parallel alternating black and white patterns that represents a sequence of numbers or characters. You will be able to use specialized software applications or barcode fonts to generate these patterns. A barcode font is a specially designed font that allows you to specify and generate barcodes on normal text characters. It is extremely easy to use. You can just install the font, load up your text editor like Wordpad or Word to create the barcodes. Most computer applications today that support text allow you to choose from among many fonts. The versatility of a barcode font makes it a popular solution for integrating with existing enterprise projects as it does not depend heavily on the programming environment and does not require intensive graphics operations. Instead, a slight manipulation of existing text is usually sufficent to produce robust and scannable barcodes. The ConnectCode package includes TrueType, OpenType and PostScript. Human readable fonts for Code 39, Code 128B and I2of5 are also available. The latest version of ConnectCode includes an Add-in for Excel that mass converts a column of data into multiple barcodes. It is important to choose a barcode font carefully. There are many barcode fonts offered in the industry. They come in a variety of sizes and prices. The following are factors we strongly advise you to look at before purchasing one. Industry Specifications Adherence - One of the most important factor for choosing a barcode font is that it adheres to industry specifications. For example, the following properties will need to be considered carefully. This is to ensure that the barcode created is highly scannable. Ever wonder why the scanning of certain barcodes in some supermarkets looks so difficult and takes so long? The main reason is the barcode has not been created properly and cause the barcode scanners to take a longer time to process. ConnectCode Barcode Font has been created and tested vigorously by a team with many years of experience in the Auto-ID and IT industry. It takes into consideration all the above mentioned properties and is definitely one of the best barcode font around. Simplicity - Ease of use has always been an important consideration in ConnetCode. Similar products in the industry requires a complicated encoder application that generates mystic numbers and alphabets for the specification of the barcode. ConnectCode does make use of an encoder as well. However, the fonts have been designed in such a way that a user can even specify a barcode by keying in the characters directly as much as possible. Multiple Barcode Sizes - Each barcode font in ConnectCode comes with a minimum of 7 sizes. On top of that, some barcodes like UPC and EAN come with human readable text support. Integration - ConnectCode comes with a vast variety of tools, applications for ease of integration with Third Party products. Microsoft Office Macros - For ease of use in Microsoft Word, Access, Publisher and Excel etc..
Windows Presentation Foundation Integration - Bar codes can be easily added into Windows Presentation Foundation applications (.NET 3 or onwards) with ConnectCode's dynamic link library. The download package includes two WPF samples with source code that details the exact steps necessary to do so. Produce Images - A special feature of the Encoder creates high resolution images out of the barcode fonts. 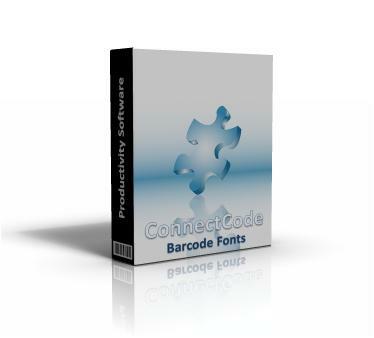 This combination of fonts and images offered by ConnectCode makes it one of the most versatile products in enabling barcodes for enterprises and personal use. OpenType is an open standard that unifies both the TrueType and PostScript into a single format for use in both Windows and Mac OS. The use of the Unicode character set in OpenType makes a document portable across different machines with different locales. OpenType also supports advanced typographic features such as ligatures (two or more letters joined to form a single glyph), old-style numerals (numbers that do not have the same height), small capital letters and more.